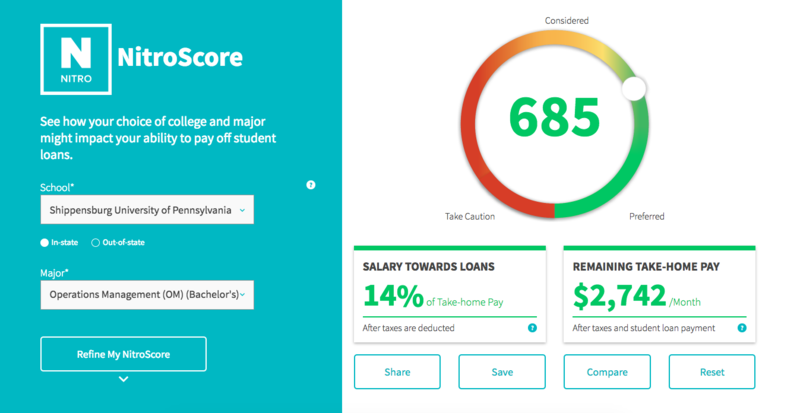 NitroScore is an important online tool, first of its kind, for determining the affordability of student loans. It provides a safe, free and easy way for families and prospective students to make sound financial decisions when it comes to higher education. 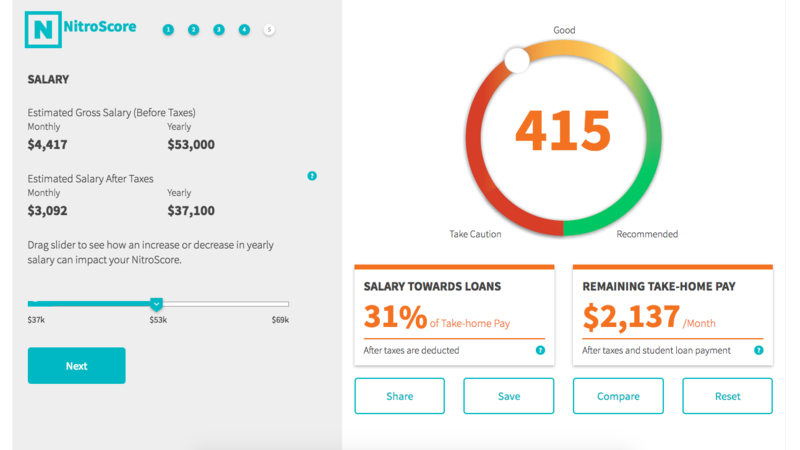 By simply entering a chosen school, major and any applicable aid/scholarships into the NitroScore tool, students can see just how much they will owe (estimated) on student loans over time and, more importantly, whether the college and major of their choosing will generate the earnings needed to pay off their student loans. College students and their families have little, if any, visibility into what they are buying before taking on student debt. NitroScore is the best way yet for a prospective student to safeguard their investment and future, while providing the financial guidance families need for their children to live a comfortable life after graduation. NitroScore is fueled by advanced analytics, using data on college costs and after-college salaries that is generated from U.S. government sources and surveys from actual college graduates. It’s accurate, thorough and insightful! College costs are summarized by the National Center for Education Statistics. Salary data is compiled by PayScale. The salaries are averages based on a survey of 1.4 million college graduates.